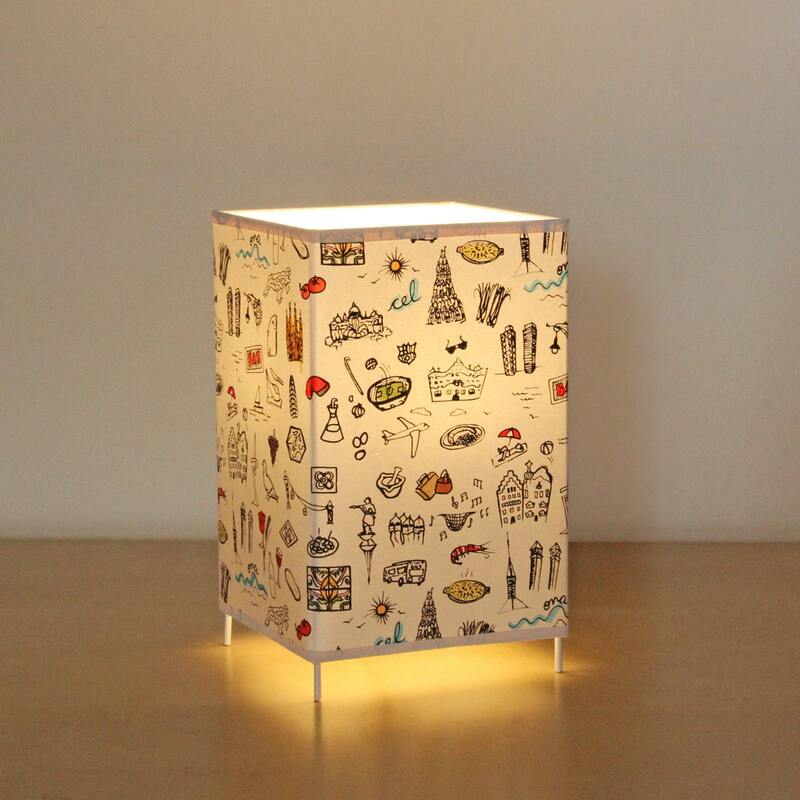 This lamp is one of our creations of the Barcelona Print Collection. We love our city and we want that our visitors can take back a nice souvenir with them specially because it is made here. 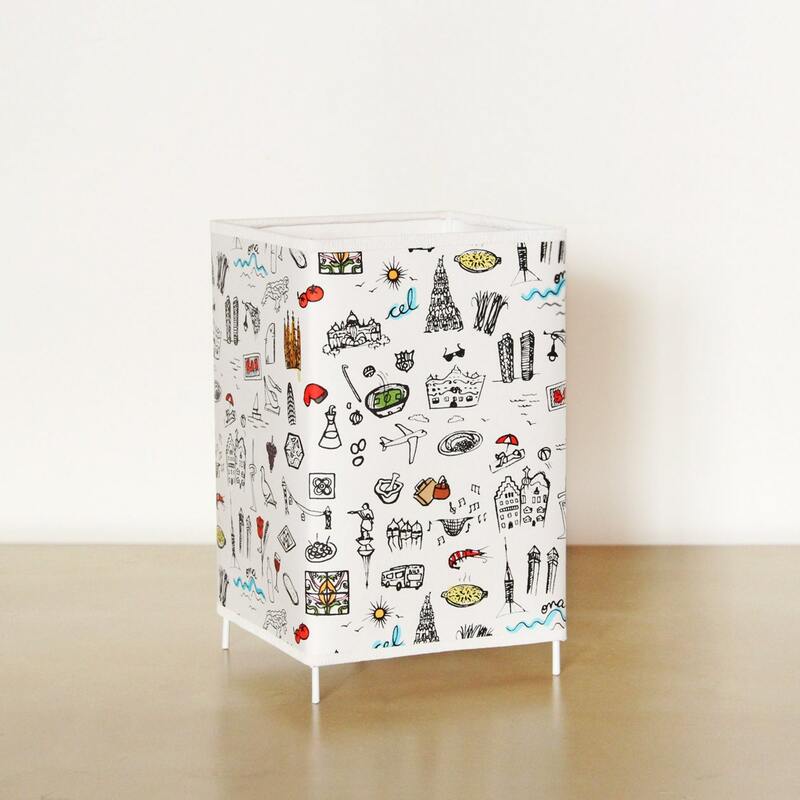 Barcelona Print is a lamps collection inspired by many different elements, anywhere from cooks to architects, all of which are very representative and emblematic in our culture and our city, Barcelona. 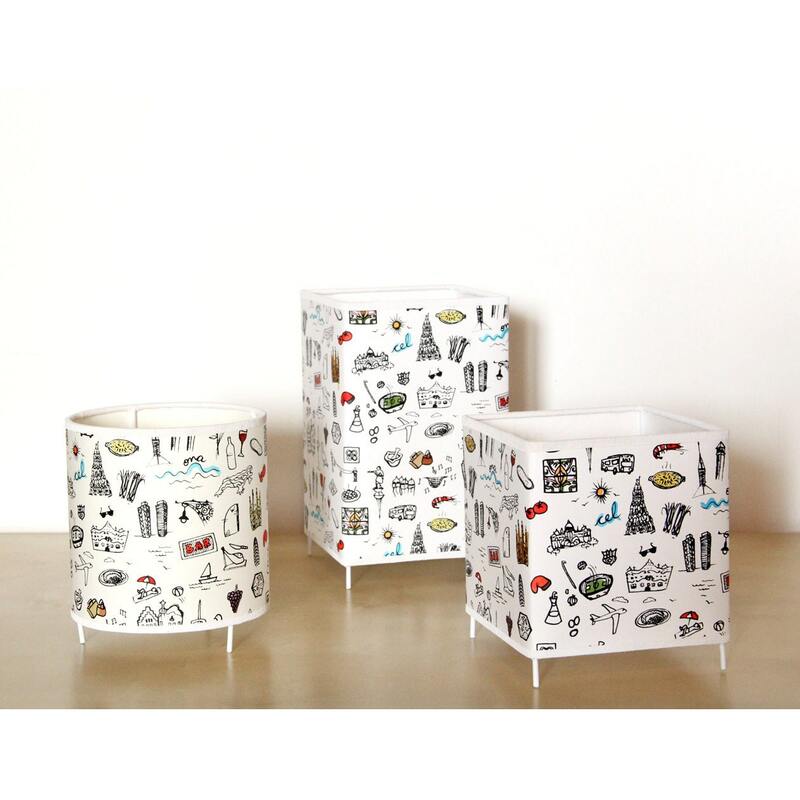 As you can see, the deign is a pattern of drawings designed by Marta López. 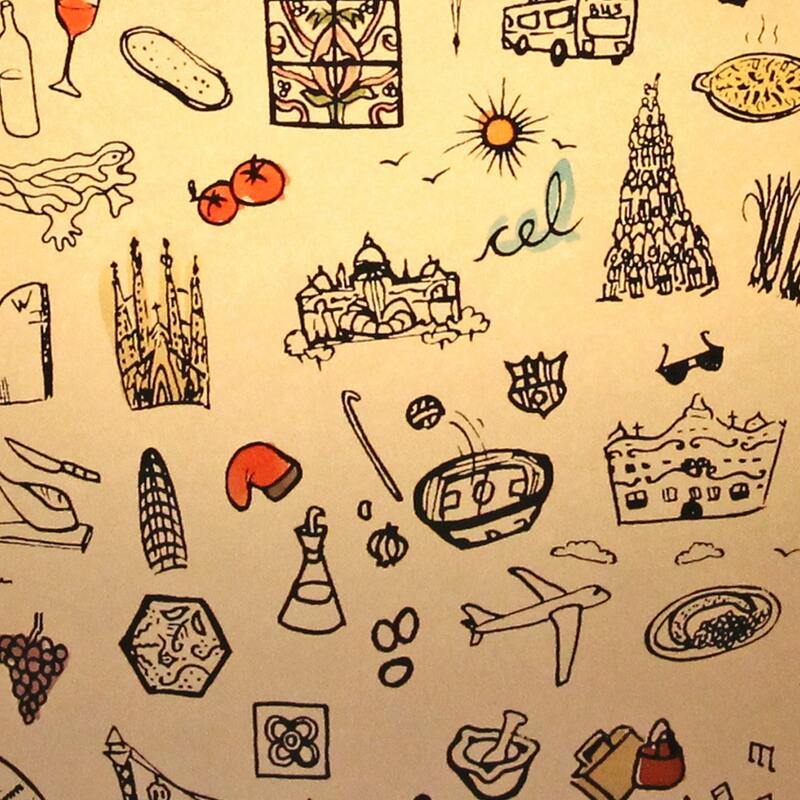 Let’s see if you can find the Sagrada Famila church, a great paella, the famous dragon from Park Güell or the delicious grilled spring onions. We created these lamps in our workshop, serigrafing the black lines of the design on paper and later on by painting each detail with various water colors. Afterwards we mount the lamps shade with the stand and there you have it. We are delicate when working so that you may take a small piece of Barcelona home with you to decorate any place in you home. The size of the lamp is 18 cm (7,09 inches) high and 12cm (4,72 inches) in diameter. The estructure is made os aluminium dipped in white anti-rusting Paint to protect it. The lamp comes with a white 1,5m (41,34 inches) cord and plug. The light bulb (max. 40 watts) is not included. We recommend a low-consuming bulb. You will save on your electricity bill and you’ll be caring four your plantet. (If you prefer black a withe cable, let us know by email or in the “buyers notes” section and we’ll be happy to change it. We go about the delivery with nice packaging and we make sure that it will protect the lamp to its destination in great conditions. This is a custom design .